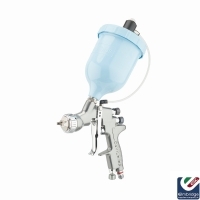 The all purpose mid sized conventional spray gun range. The DeVilbiss Advance HD (High Demand) spray guns are available in Pressure, Suction and Gravity feed formats and a wide range of conventional technology Air Caps provide exceptional atomisation for coating wood, metal, plastic, ceramic and composite substrates with most types of solvent, waterborne, high solids and 2K materials. Advance HD’s unique high capacity airflow and outstanding atomisation characteristics are combined with a separate “balanced” air valve to provide an unrestricted flow of compressed air through the gun body, this coupled with light, feel right comfort is an unbeatable combination. 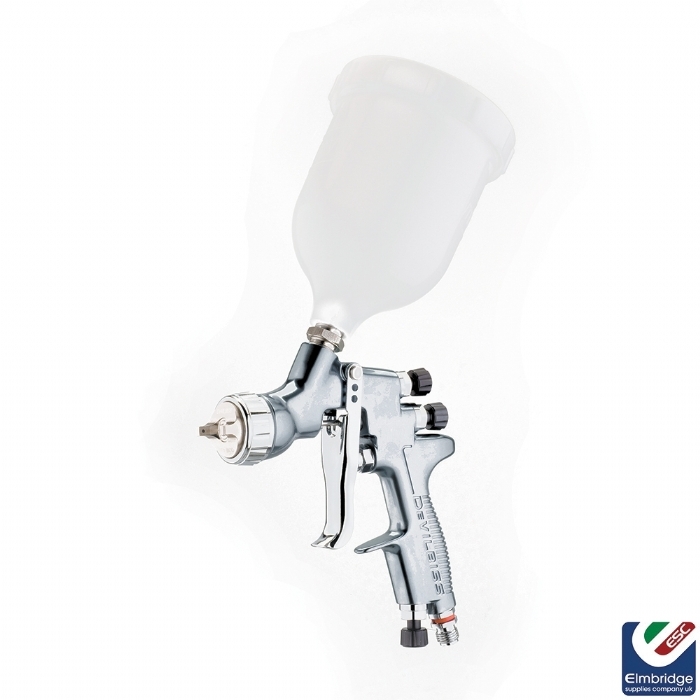 DeVilbiss Advance HD spray guns are ideal for small operations or high volume spraying, with the added bonus of instantly improved finishing productivity. Advance HD is precision built by DeVilbiss using the best materials and component parts for a guaranteed, reliable, long and durable working life in all industrial markets.